Anthony Martial believes Ole Gunnar Solskjaer's tactics are "easier" for Manchester United players to understand than those of Jose Mourinho. Solskjaer has overseen a dramatic change in fortunes for United since replacing Mourinho in December, and will be looking for his 11th victory in 12 games when Paris St Germain visit Old Trafford in the Champions League tonight. Martial has put the improvements down to Solskjaer's more attacking style. "We have got a coach who has different intentions and we are trying to do what he asks," he said. "Perhaps it is easier to play this style of football and not the style of football (Mourinho) asked." And the 23-year-old added that his own specific instructions have also changed. 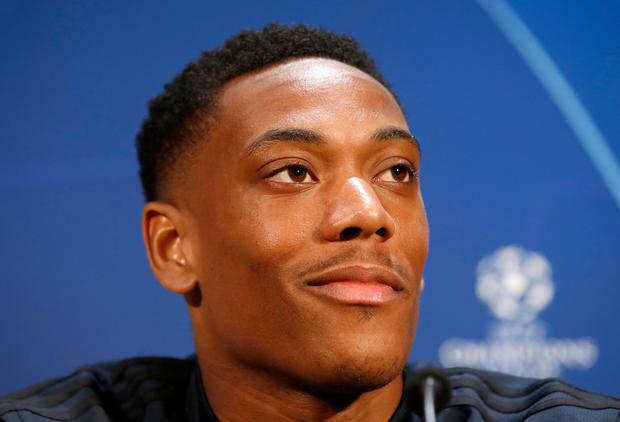 "He is asking me to attack more," Martial said. "That is my job after all. To make the difference, to be more decisive. Things are working out well."